I do enjoy fiddling around with electronics, always have. There's some amazingly fun things you can achieve for very cheap if your willing to put aside some time. Previously i've modified a Korg Monotribe with one of Darren Eagers oscillator kits and an Amazing Machines Miditribe I/O. It completely transformed an already cool little groovebox into a very usable synth with a broad sound palette, especially when using 'the ol' feedback trick' by plugging the headphone out jack into the audio input for extra distortion (Amazing Machines also create a cable specifically for this so you can mix in how much of the extra signal you'd like, giving you much better control over the distortion). I sold this only recently to fund my new eurorack addiction which I'm sure you'll see a bit of later on (recently bought a Moog DFAM, so good!). Another thing I modified was a Bastl Kastle, a super dirty, weird phase modulation synth thing with patch points that runs off a microcontroller. I simply wanted an extra ground from the device so I could run a second CV out from it to use with my modular stuff (MFB Kraftzwerg at the time). 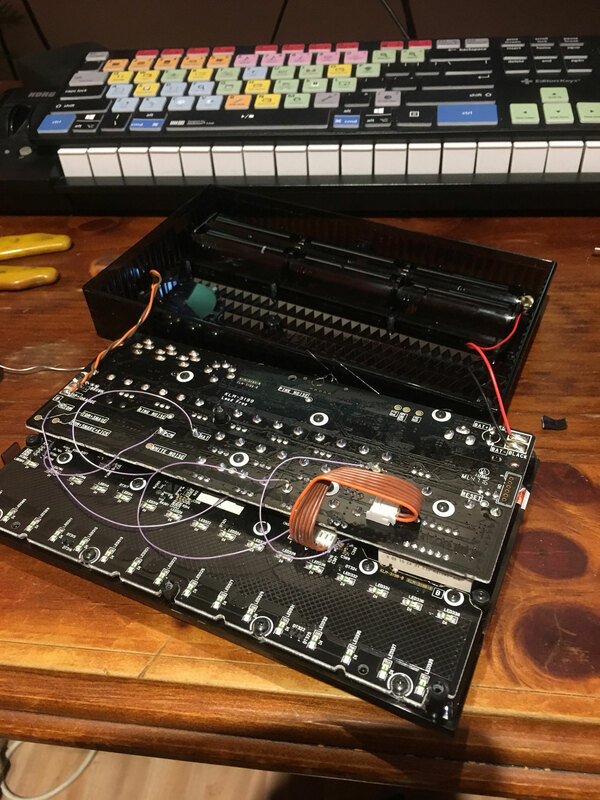 It took a while to find a sufficient point of the circuit to use without destroying its case, as everything is super tight inside, but it was super useful to have a sub $100 device that could be patched, produced audio and provided 2 CV's. 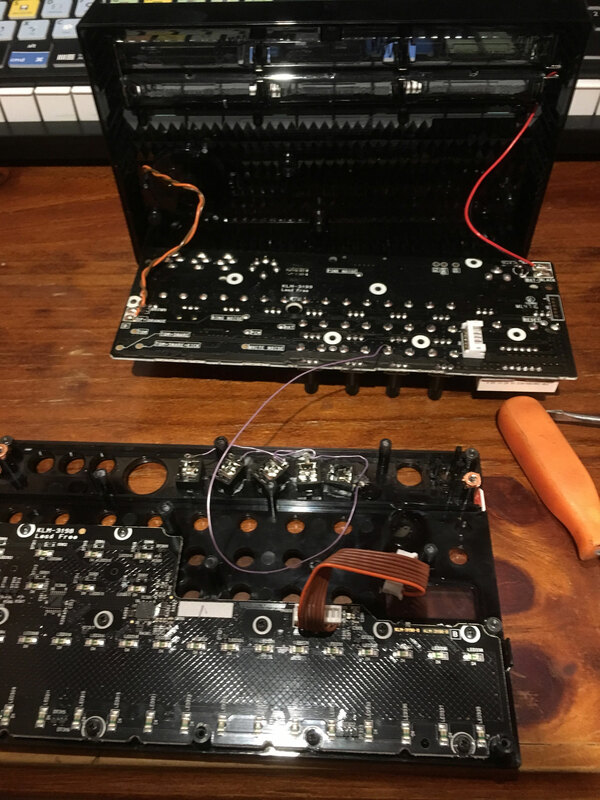 So ever since I got my Korg Volca Beats (from Circa Music & Instruments ;) ) I wanted to modify it because Korg really do make it a lot easier by labelling parts of the PCB and there are heaps of mods for the whole Volca series. I scoured the interwebs for the most substantial and clearest tutorials I could find and planned on doing more mods than just individual outs but... cbf by the end of it... as the rest of the mods seemed a little more experimental than i'd like for a device I had literally just bought brand new. This guy here probably has the best tutorial and links at the bottom of the page for other good resources. So for about $20 and a couple hours you can add individual outs to your Volca Beats without much fuss. I get all my parts from RS online. They are uber quick with shipping and have anything you could ever want at probably the cheapest price you will find. All that was necessary for this was; 5 audio jacks and some thin gauge wire (30AWG I think I used). Tools; you'll need a soldering iron, solder, wire strippers and a drill. Im pretty well set up for this type of thing from years of building, breaking and fixing things but it's all totally accessible and simple to do if you allocate yourself heaps of time to do it. The only thing that was a bit.. meh, was the fact that my holes for the jacks aren't perfectly spaced due to the forming of the casing and me getting a little excited. The end result though is an even more usable, cool, cheap drum machine! Coupled with my little Bastl Dude (5 channel mixer with loads of gain for extra dirt and mute switches for performing) its awesome! I have a video that I will upload soon (im gettin sleepy) but the idea is to use it as part of a battery powered live performance setup focused on dirty dubby teshno. I've had enough of writing about this for now. Hit me up with any questions DIY electronics and stay in touch to hear more about my experiments.